Getting into the Easter spirit? filled with a chocolate crème. 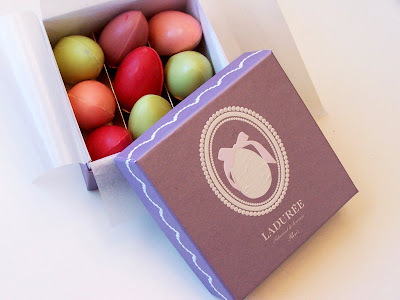 I'll just devour my Easter eggs! Images: 1. Dolce-Danielle, 2. 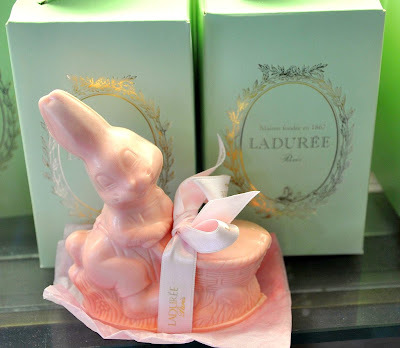 Ladurée, 3. lolapants, 4. Food Lovers Odyssey, 5. Food Lovers Odyssey, 6. Food Lovers Odyssey, 7. gina64. I just cannot wait to get there in May! Until then, I might have to order a few Easter treats to hold me over! I'll take one of each please.... actually make it two! They are so gorgeous... 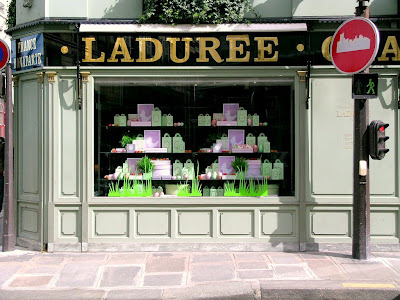 I get the Laduree email as well and everytime I have an inbox with Laduree I get so excited. Beautiful post! So depressed now!! 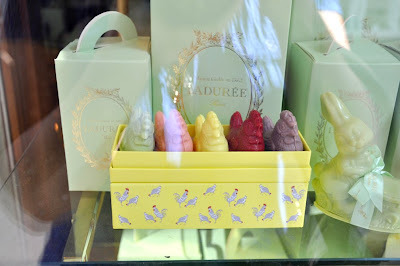 I love Easter and combine Laduree and their lovely treats makes me want to hop on a plane right now!!! I love it there! 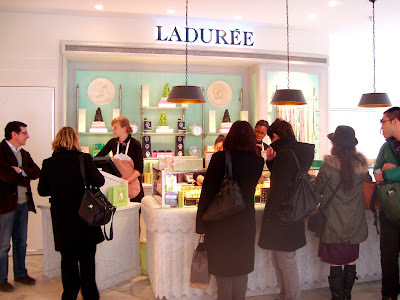 It was one of the highlights of our trip to Paris! What wonderful colors! I love this time of year! 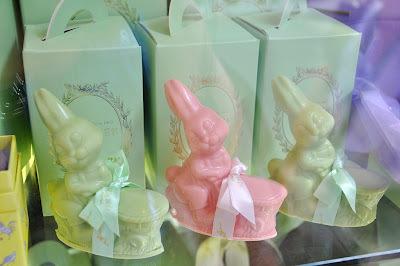 These are the most wonderful Easter Treats I have ever seen too bad my passport has expired.